We seriously have to lower our standards for personal cleanliness. In four days, our family of six has generated three loads of laundry. My experience doing laundry at our campground has given me pause. We plan to live aboard our St Francis 50 catamaran in August. And, we had planned to do our laundry on shore, at least until 2017, when we plan to do another refit. I am reconsidering this strategy. One of the reasons we have so much laundry is because, when we were downsizing, I pared down our belongings to sail in the Caribbean. I am less equipped to camp in unusually cold, wet weather of Ottawa. Here is a picture of Betty after the downpour we had on July 1, Canada Day. Another reason we have so much laundry is that we are still in the habit of wearing our clothing once and then tossing it in a pile to be washed. A third reason is that we have four young children. They are curious and can be very messy. We only have two pairs of pants each. 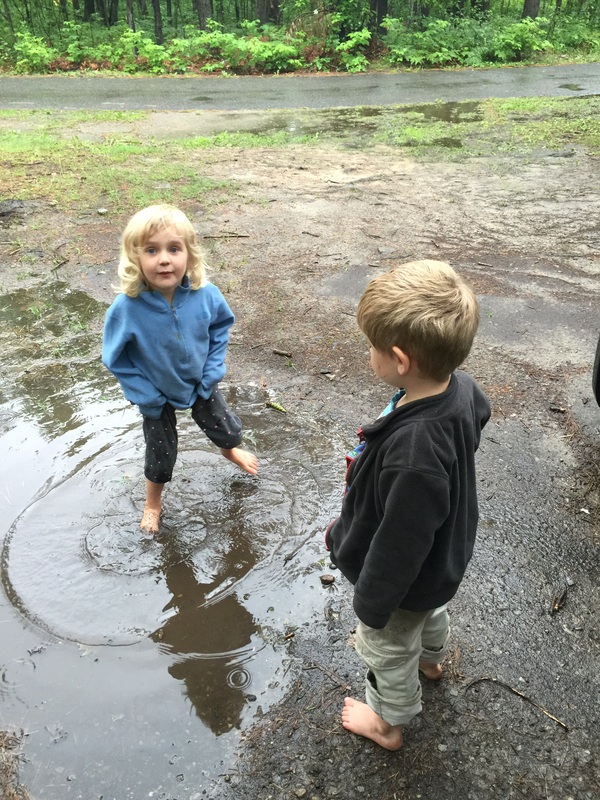 As this picture below shows – my twins like to puddle jump. 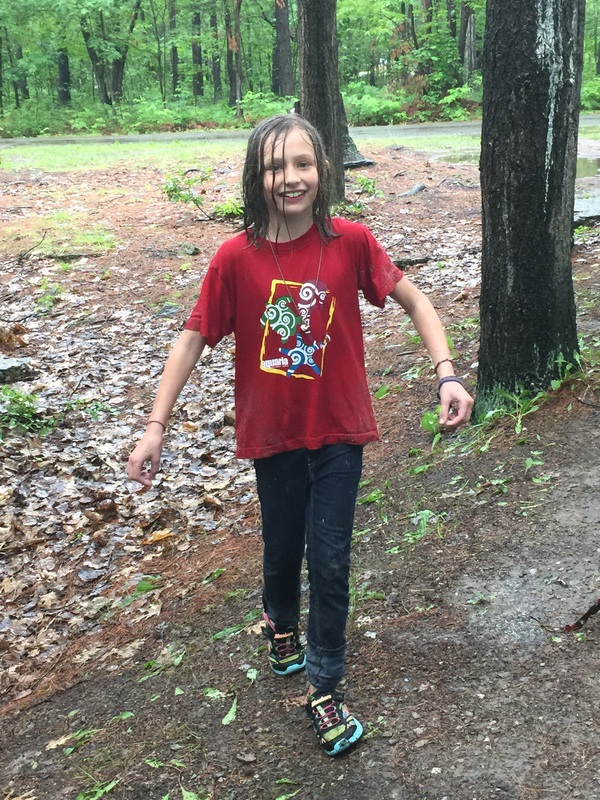 Karen demonstrating puddle jumping to her brother, Henry. twins, age 4. We’ve had some input from other sailors regarding laundry machines on a boat. One sailor thought that doing laundry on shore provides an excellent opportunity to mingle with local people. But, with the amount of laundry we generate as a family, I can see the bloom coming off this rose pretty quickly. Our washing/drying machine would likely take up some room in a sail locker. This space is valuable to us. But, we would be trading storage space for sanity. 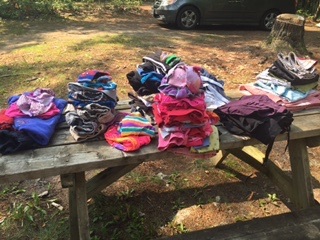 A few days of clean laundry, folded on a picnic table. A Facebook blog from Where the Coconuts Grow talks about doing laundry on their boat while conserving water. Although they don’t have children, their process may work for you. Good luck and fun travels.